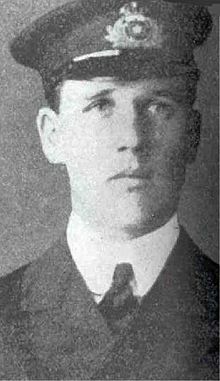 Sub-lieutenant James Paul Moody, RNR (21 August 1887 – 15 April 1912) was the Sixth Officer of the RMS Titanic and the only junior officer to die when the ship sank on her maiden voyage. Born in Scarborough, he received a prestigious education and served the White Star Line aboard the luxurious RMS Oceanic. When Titanic struck an iceberg, he was on watch on the bridge alongside First Officer William McMaster Murdoch. He helped thereafter loading the lifeboats. Despite repeated invitations of his colleagues, he refused to board a lifeboat. William McMaster Murdoch, RNR was a Scottish sailor who served as First Officer aboard the RMS Titanic. He was notable as the officer in charge when the Titanic collided with an iceberg. Mystery also surrounds his death. James Paul Moody was born in Scarborough, England on 21 August 1887, the youngest of four children born to solicitor John Henry Moody and his wife Evelyn Louis Lammin. Moody's grandfather and namesake, John James Paul Moody, had been a prominent local figure. Moody attended the Rosebery House School before joining HMS Conway as a cadet in 1902. His two years in the ship, 1902-1903, counted as one years' sea time towards his Board of Trade Second Mate's Certification. HMS Conway was a naval training school or "school ship", founded in 1859 and housed for most of her life aboard a 19th-century wooden ship of the line. The ship was originally stationed on the Mersey near Liverpool, then moved to the Menai Strait during World War II. While being towed back to Birkenhead for a refit in 1953, she ran aground and was wrecked, and later burned. The school moved to purpose-built premises on Anglesey where it continued for another twenty years. Along with the other junior officers, Moody received a message in March 1912 ordering him to report to White Star's Liverpool offices on 26 March. From there he travelled to board Titanic at the Harland & Wolff yard in Belfast. 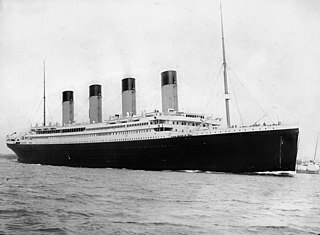 Titanic then sailed for Southampton to take on passengers. Moody's service as Sixth Officer earned him about $37 a month, although he was allowed his own cabin as compensation for his small salary. He is also commemorated by a brass altar set presented by his aunt, Hannah Mountain, to the church of St Augustine of Hippo in Grimsby. Henry Tingle Wilde, RNR was the chief officer of the RMS Titanic. 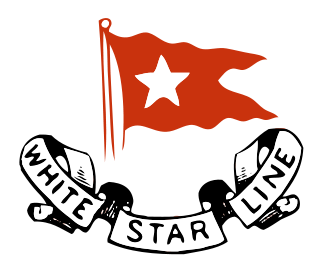 David Blair was a British merchant seaman with the White Star Line, which had reassigned him from the RMS Titanic just before its maiden voyage. Due to his hasty departure, he accidentally kept a key to a storage locker believed to contain binoculars intended for use by the crow's nest lookout. ↑ "James Paul Moody". www.scarboroughcivicsociety.org.uk. Retrieved 28 November 2017. ↑ Sheil, Inger. "All the Horrors Seem to Happen at Night". Encyclopedia Titanica. Retrieved 2016-02-08. ↑ Jones, Paul Anthony (2012). The British Isles a Trivia gazetteer. Chichester: Summersdale Publishers. p. 227. ISBN 978-0-85765-827-2. ↑ Sheil, Inger (2012). 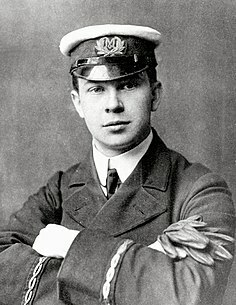 Titanic Valour: The Life of Fifth Officer Harold Lowe. The History Press. ISBN 9780752477701. 1 2 "Titanic owners wanted money to return body of Scarborough hero James Moody". The Scarborough News. 24 April 2015. Retrieved 28 November 2017. 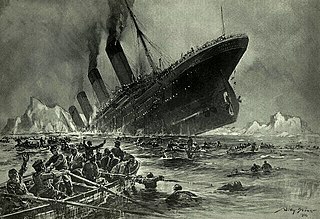 ↑ "Titanic letter praises heroic man". BBC News. 3 May 2005. Retrieved 28 November 2017. ↑ Stuff, Good. "James Paul Moody blue plaque in Scarborough". www.blueplaqueplaces.co.uk. Retrieved 2016-02-08. ↑ Penfold, Phil (6 November 2016). "God's house of wonders on Scarborough's south Cliff". The Yorkshire Post. Retrieved 28 November 2017.